Roma supporter Filippo Lombardi has been found not guilty of inflicting grievous bodily harm on Liverpool fan Sean Cox prior to last season's Champions League semi-final tie at Anfield. Lombardi, 21, was cleared by a jury at Preston Crown Court six months after being charged over an incident that left 53-year-old Cox in a critical condition. The Italian was, however, jailed for three years for a separate charge of violent disorder, which he admitted in September. Liverpool's first-leg 5-2 win over Roma in April was marred by the ugly scenes which erupted outside the ground before kick-off. 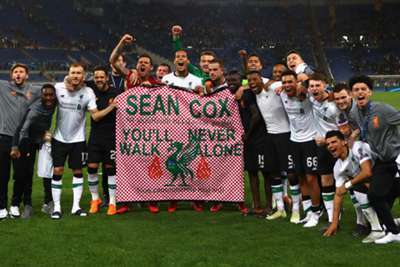 The Reds advanced despite a 4-2 loss in the return leg at Stadio Olimpico, after which Jurgen Klopp's players celebrated on the pitch with a banner bearing Cox's name.